Hi guys! It seems like summer just started, but the 4th of July is this Monday. It's crazy, right? The fall collections will be out before you know it. Tonight I have the final 3 polishes from Lilypad Lacquer. 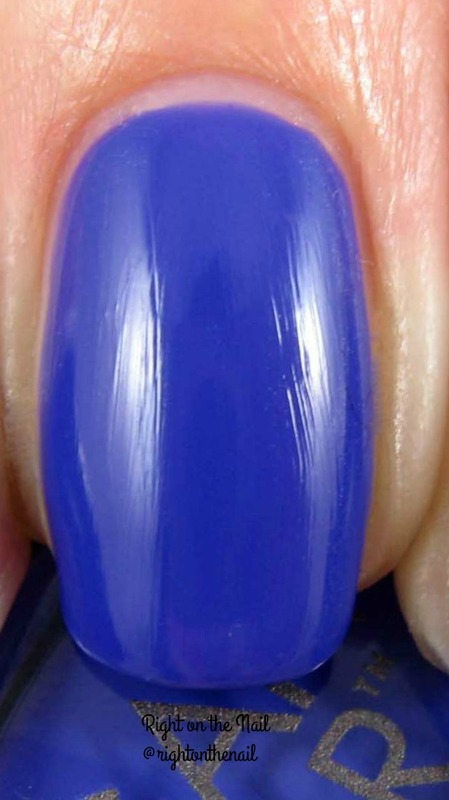 One of the polishes, Guilty Pleasures, is an exclusive color for the stockist Color4Nails. The other 2 are in the regular core collection, I believe. If you love flakes and/or duochromes, then this post is for you! Hi guys! Tonight I have a popular Australian indie brand named Lilypad Lacquer. There are several Aussie brands I've been aching to try, but the prices have sort of stopped me from purchasing. 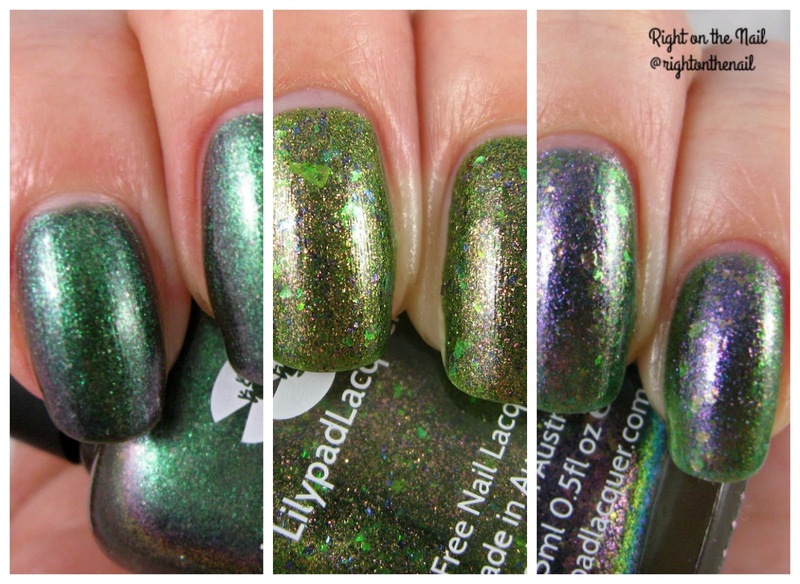 You can order from the Lilypad Lacquer site and pay for shipping from Australia, or order from their stockists. In the US, you can purchase them from Color4Nails to get around the waiting and higher shipping costs. Be aware that the cost per bottle is pretty high (likely to make up for the shipping and distributor costs) and retail for around $13-$14. To my surprise, Color4Nails ran a 50% off sale on Lilypad Lacquers a few weeks ago so I got these polishes for a steal! 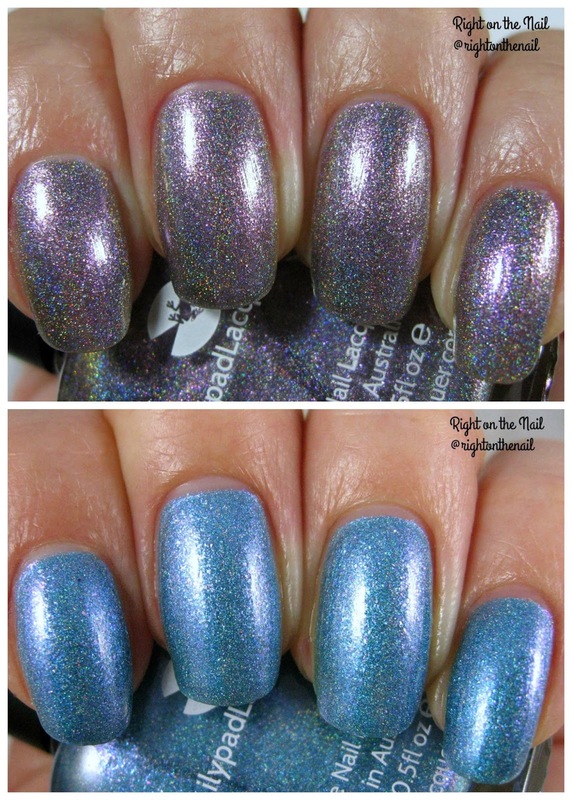 Tonight I'm featuring the holographic polishes I bought, and later this week I'll get to the flakie and duochrome polishes. Want to know my thoughts? Follow me after the break to learn more. Hi guys! It has been business as usual around here lately. My lab has some outreach projects next week with high school students, so I've been a bit busier than usual at work. Oh, and in my off time I've been trying to finish up season 4 of Orange is the New Black. Anyone caught up already? Tonight we're going to finish up the summer collection from Morgan Taylor. I just so happened to get their fall collection in the mail last week so I've been swatching those. I love fall colors, but I'm just not ready to think about them yet. Anyway, let's see the final swatches and reviews! Hi guys! Did you have a good weekend? It was pretty quiet around here, which is always appreciated. We went to see Central Intelligence (not life-changing, but it was cute) and took Scraggles to the dog park. Tonight I have the first of 2 posts featuring the newest Morgan Taylor polishes. It's a 4-piece collection with 3 cremes and 1 shimmer polish inspired by all things nautical. Are you ready? Up first is a blurple creme called Catch My Drift. You know me, I'm a sucker for blues. In real life the color is a little darker than the pictures above, so be aware of that. 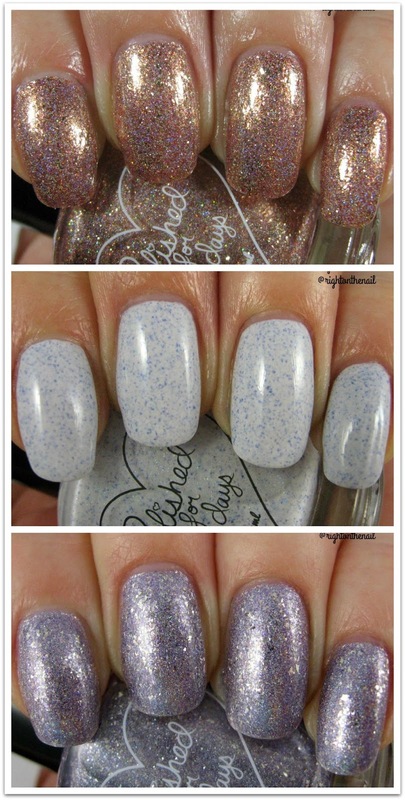 I found the formula to be a bit thin and watery, so make sure to remove all excess polish before applying to the nail. That being said, I only needed 2 coats for full coverage. 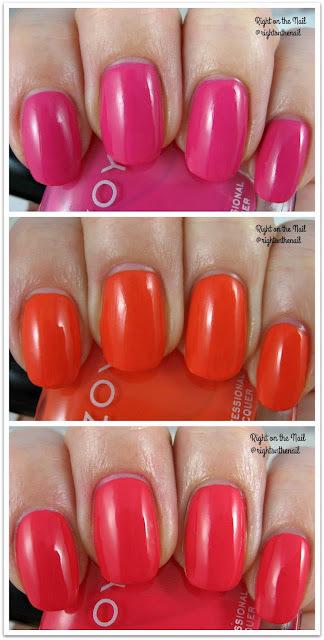 Girls Love Buoys is a bright pink creme. I wouldn't call it a neon pink for summer, but it's still fairly bright. I probably have some other pinks similar to it, but it's still a great staple polish. The formula was much easier to work with compared to Catch My Drift, and it only needed 2 easy coats. 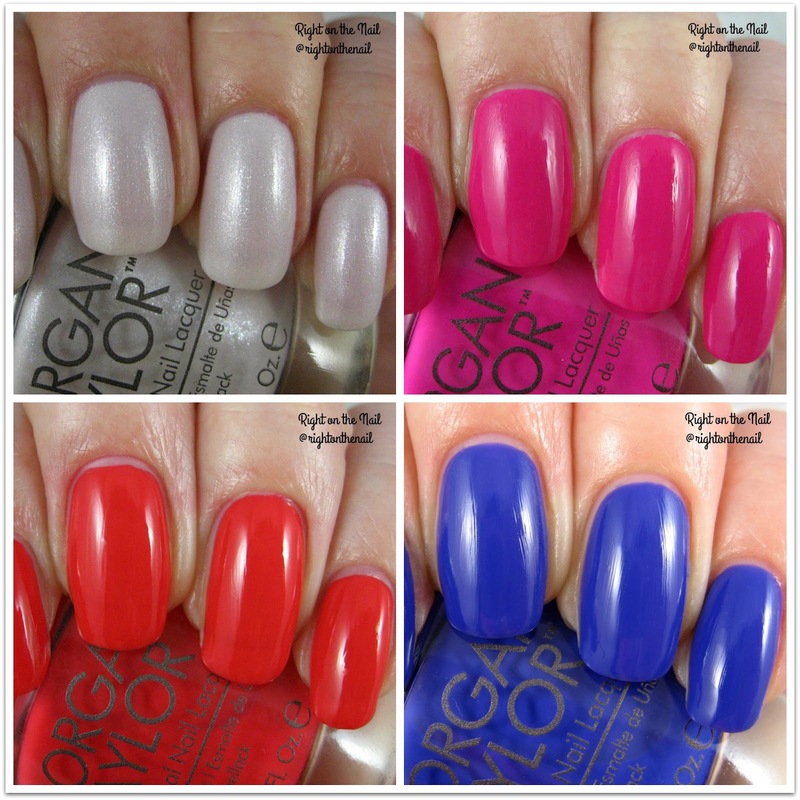 Morgan Taylor polishes can sometimes be hard to find, but you can finally buy them online without a license from Loxa Beauty for $9.00 each (hint, some of the polishes are on sale for as low as $4.25). The collection was also released in mini bottles, and you can buy the set of 4 for only $15. You can keep up with Morgan Taylor on their Facebook, Twitter, and Instagram pages as well. Hi guys! I can't believe today is Wednesday because the week is just flying by! Tonight I have the last 2 polishes from Heather's Hues to share with you. The first comes from the Flowers for Mother Collection which was released for Mother's Day while the second is another color from the County Fair Collection (I reviewed 2 polishes from this collection on Monday). Follow me after the break for more information and swatches! Tonight I have swatches of the 2 new lipsticks from Zoya which were released with their Sunsets and Seashells collections. I don't normally review makeup, but I'm still a bit of a lipstick junkie. It's really hard to go to Sephora, Target, the drugstore, etc. without looking at the new lip colors (and, of course, the polish offerings, but that's a given). I've tried the Zoya lipglosses previously (they are called Hot Lips), but these are my first Zoya lipsticks The lipsticks come housed in a black plastic bullet that isn't winning any awards for packaging. I mean, it works, but it's not very luxe. I shouldn't complain because these retail for $12 each. Also, the lipstick doesn't actually come to a point, it's just slanted on one side. I find it harder to apply around my cupid's bow because it doesn't have the usual point to it. Zoya calls these a Hydrating Cream Lipstick, and I'd agree with that. I wore each of these colors for a full day and had no issues with dry lips. I often go for matte finishes, which are drying, because I find they last longer and need fewer touch-ups. Candy comes from the Sunsets portion of the collection and is a bright pink creme lipstick. To get an opaque lip you will need a few swipes of this one (I would call it a semi-sheer lipstick.) While bright, I found it to be a really wearable color, even for those of you who don't like a bold lip. It isn't transfer-resistant, so you will need to reapply after lots of drinking or eating. 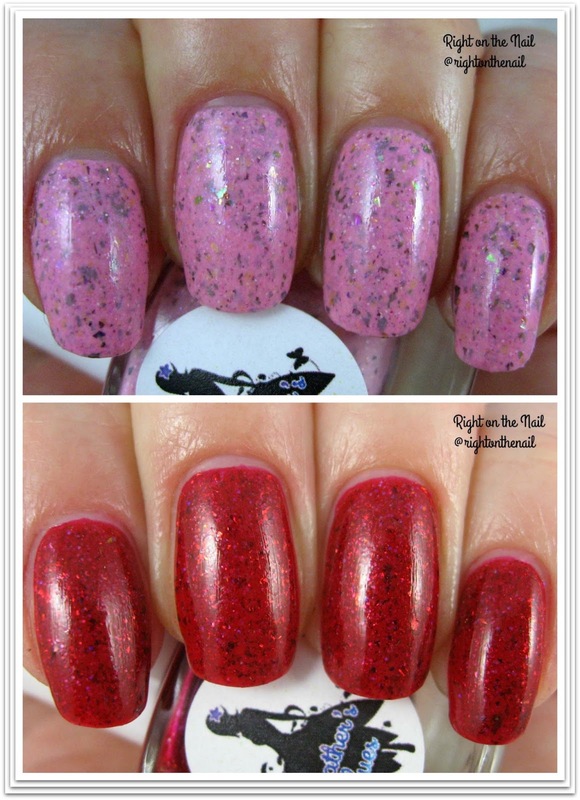 Mellie comes from the Seashells Collection and is more of a cool-toned red-pink creme. Overall, it needs fewer swipes for full coverage and also has an extremely creamy formula. Personally, I like this one a little better, but I'm a fan of both of them. Again, these retail for $12 each and are available now on the Zoya website (I'm not sure if these will be available in any retail stores.) You can find out more about them on their website, Facebook, Twitter, or Instagram pages. Hi guys! I had a great time at the Raleigh Pen Show this weekend. Somehow I only came home with 1 pen, but my husband more than made up for that. Tonight I'll be focusing on a tried-and-true mainstream brand instead of any new polishes from indie brands. Lug Your Designer Luggage comes from the China Glaze All Aboard Collection (from back in 2014!) and is a cool-toned brown creme with tons of gold flakes. I've never owned any designer luggage, but if I had the money, I'd rather spend my money on designer handbags or shoes. Based on the colors of this polish, I think it is inspired by Luis Vuitton luggage, which I'm not a big fan of honestly. To each their own though! I think it's a really interesting polish, but I found the formula to be a bit watery in the 2 coats I used. The cheapest place to find China Glaze is through Transdesign for $3.25 each. Surprise, they still have this collection for sale! You can also find them at your local Sally's Beauty Supply or Ulta stores where prices may vary. Get more info on China Glaze on their Facebook, Instagram, or Twitter pages. Hi guys! I can't believe it's Wednesday already. Short work weeks for the win! The pen show I was talking about actually starts tomorrow and I am so excited. My husband is the one more into fountain pens, but I've become quite fond of them over the years (and some of the awesome people who go to the shows)! I haven't mentioned it in awhile, but check out his blog for some interesting ink and pen reviews (he also makes videos on Youtube). Tonight I have the first part of the Zoya Sunsets Collection which features 6 bright cremes that only need 1 coat. Follow me after the break to see if this rang true.